We are a charity which offers support to anyone struggling with the most basis of needs: food and shelter. Welcome to Reach Out to the Community. This is where help happens. 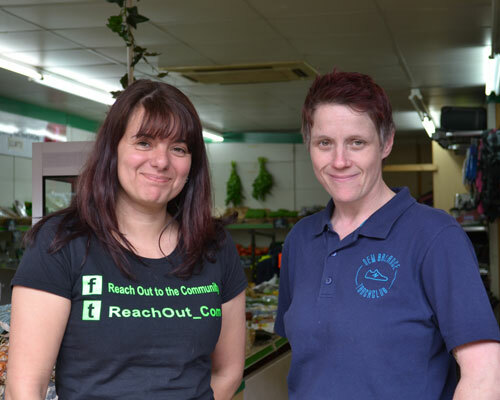 Our shop and community hub in Chorlton, Manchester, raises money and receives donations from generous local people. Our charity helps people who find themselves homeless or in food poverty. Our charity takes a practical, responsive approach to helping homeless people, rough sleepers and people in food poverty, but we need your help - now more than ever. We're Stephanie and Becky. We don't believe that anyone should be without food or shelter, so we're trying to do something about it.